Things have been fairly active around our house. 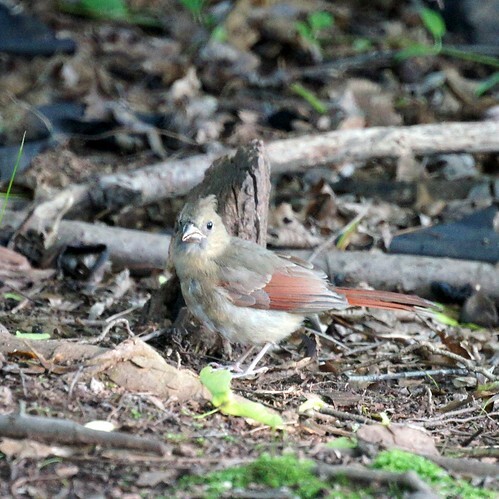 The titmice are feeding their young and a pair of Northern Cardinals is feeding a fledgling. 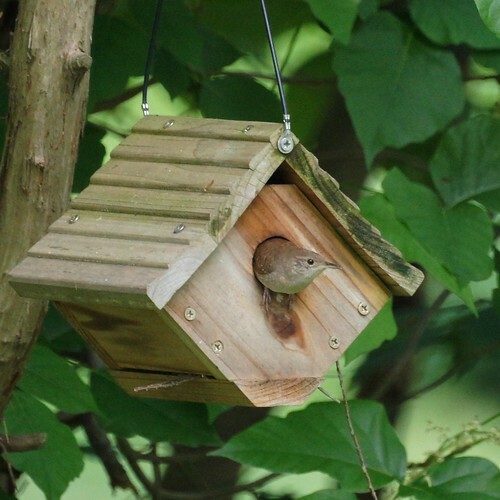 The house wren is busy at the wren house, but we have not seen signs of babies. 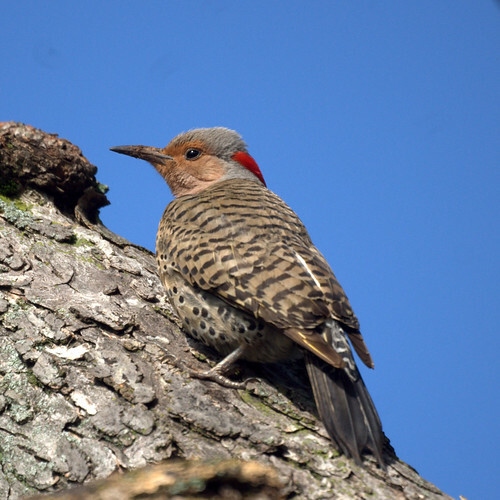 We are still hopeful we'll see baby Northern Flickers and watch the nest daily. 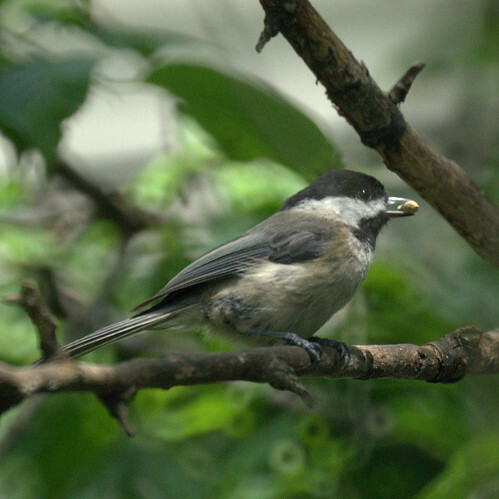 The chickadees are coming to the feeder regularly. 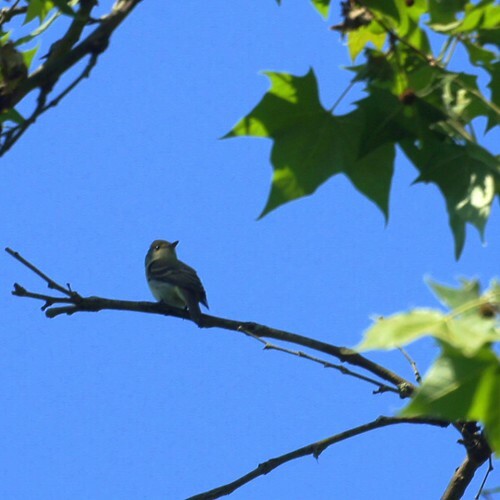 In spite of the backyard activity, we heard about the Cerulean Warblers in the Delaware Gap and took a trip on Memorial Day to Old Mine Rd. 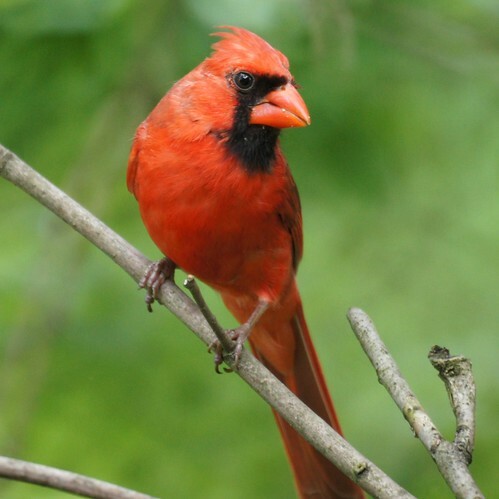 It was much easier to hear the Cerulean Warblers than see them, but eventually we got some looks high in the trees.